There are very few chemicals or drugs being used today that doesn’t come with a certain amounts of side effects or possible complications. In more ways than one, side effects and complications are synonymous. Here we will take a look at some of the complications or side effects that come with using Jessner Peel and chemical peels in general. When it comes to applying chemical peels, there is also a rule of thumb that applies – the deeper the peel, the greater the chances are of experience complications as well as longer recovery time. This reigns true for the popular Jessner Peel also. Jessner Peel is one of many superficial peels on the market today that is safe and effective. Complications or Side Effects Swelling – usually last for a period of three days and is associated more often with deep peels. Redness – this cannot be avoided because of the chemicals being used for superficial peels like Jessner Peel; however, it is usually a mild redness that may last a couple of days or so. Also bear in mind that medium to deep peels could cause significant redness that could last for a month or so. Pain – although isn’t significant, it is most commonly experienced with deeper peels and could last for an hour or two. Itchiness – this depends upon the level of the peel; if it is medium to deep then itchiness could take place. Allergic reactions –although Jessner Peel does have a high rate for allergies, allergic reactions are highly unlikely. In fact, anti-histamines are being used beforehand, if allergies are known. Ocular Injury – this is one of the reasons, it is highly recommended that a qualified dermatologist be used for Jessner Peel or chemical peels in general to avoid chemicals from entering into one’s eyes. Folliculitis/Acne – this is inflammation of hair follicle(s), which may occur due to the use of emollient creams during the healing process; nevertheless, antibiotics are being subscribed to heal such eruptions. Fungal or Bacterial Infection – again, highly unlikely but scarring is possible with medium to deeper peels. Hyper-pigmentation – is characterized by dark spots over the treated areas. This usually happens in proximity of the deeper sections of the peel and is due to melatonin/pigmentation being released from the skin. Nevertheless, this is a temporary occurrence which could last for a year or two and can be treated with a lighting agent like hydroquinone. Hypo-pigmentation – is a pigmentation deficiency and usually happens with dark skin people after peeling and could be permanent at times. 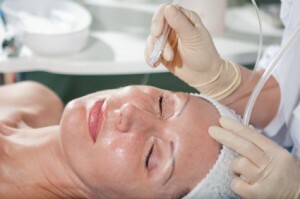 Scarring – this is a very uncommon occurrence with Jessner Peel and other chemical peels. However, it is associated with a history of keloid scarring or poor healing and usually takes place with deeper peels. Witnessing persistent redness or itchiness is an early sign of scarring and treatment with topical steroids is recommended. Milia – these are miniature size cysts that may appear two to three weeks after the re-growth of skin. Most dermatologists associate this with skin blockage due to the use of emollient creams after peeling. They are commonly removed with a lancet or needle. Demarcation Lines – this usually happens with medium to deep peels, and from where the peel was applied. These lines usually fade away on their own. The best way to minimize or reduce complications is by selecting the right treatment for your particular condition.